In order to avoid the worries and all the hassles that sometimes entail the shipping of your vehicles, you need to have the basic practical knowledge. Shipping your motor vehicles is easy and could be hassles free indeed by taking into account some of these things. 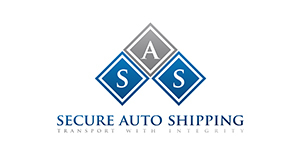 First thing to do is to select the best auto shipping company in Florida. By so doing almost half of your concern is already taken care of. It is the rule of the thumb that you need to inform your auto shipping company at least four weeks in advance so that proper arrangement could be made with the car-moving carrier to pick up your motor vehicle. You need to give sufficient time and allowance to avoid delay and time constraint. See to it that your auto shipping insurance is in order for any possible damages in the process of shipping your car. Also remember not to leave any personal and valuable items or belongings to your car for safety reason. As far as delivery is concerned, ensure that there would be someone who’ll be able to receive your car on the date of delivery in case of your absence or unavailability. Better still see to it that there would be the proper storage facility for your motor vehicle in the event that you or any of your authorized representatives would not be able to pick it up. This could easily be done by knowing in advanced the estimated pick-up and delivery date for your motor vehicle. Another thing to know is checking the proper reference and back ground information of any car moving company to ensure that it is of good standing. Also remember that a valid license is essential for any auto shipping company to enable it to transact business. Knowing these things would come a long way but the first step is selecting the best auto shipping company in Florida.